Is it Safe to Sleep Baby on a Baby Bean Bag? 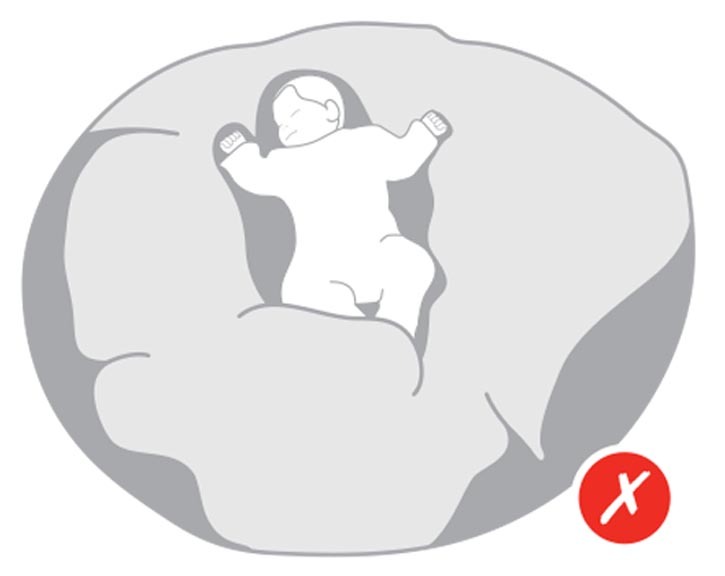 It may have been suggested by family and friends that you sleep baby on a beanbag. However, it is not safe to do so. A bean bag, defined as a material sack encasing a large quantity of polystyrene foam beads that is usually a pyramid-shaped sack used for seating, poses a suffocation risk to babies and small children and a choking hazard if they inhale the beads.